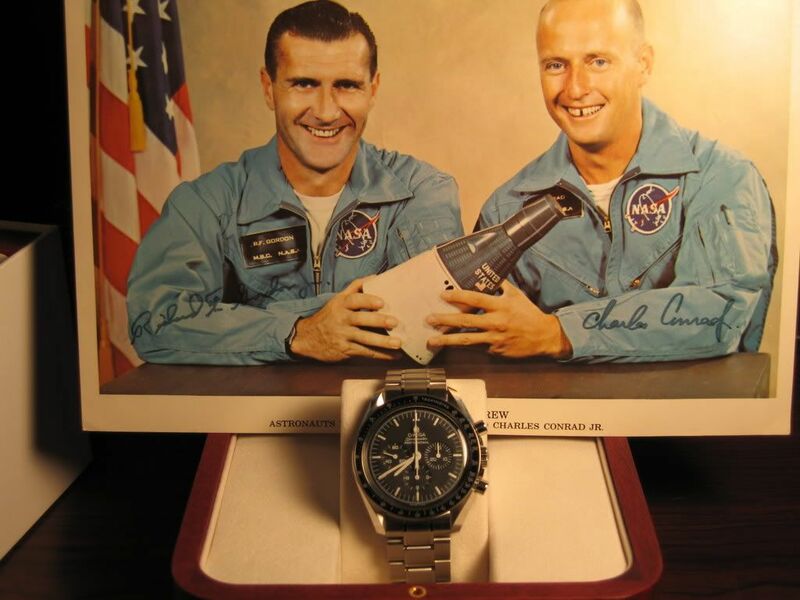 Here are more of my Speedmaster circa 1969..... Same watch, different straps. mitadoc, omega2915 and charlesd415 like this. Sorry, but isn't that a Professional case? It looks like a later pre-pro service replacement dial. No "T" markings on the dial. bit of a newbie question but do all speedmasters come with the see through glass backs? or is this something you can get fitted later? Not all come with display backs (most don't) but you can get both original Omega and after-market clear backs to fit. What's this business about the "T" on the dial? Just means the lume is tritium, not superluminova. The last of the "T" dialed Speedies are from the late 90's, I believe. Here's mine from a couple of years ago, I wish it still looked this new.